In late April, OneDublin.org highlighted some truly inspiring moments at Dublin Elementary School during Autism Awareness Month. The Language and Social Skills (LASS) program seized this opportunity to provide a common learning platform for all of the students at Dublin Elementary. LASS teachers Keira Andresen and Jeanne Kane, aides and volunteers went on to conduct a two-day event that transformed their classroom into a sensory room. 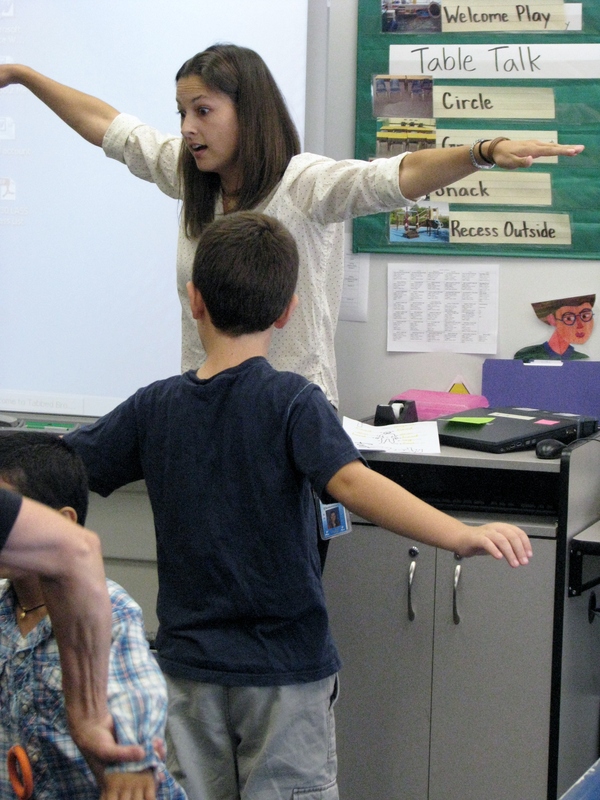 By establishing multiple stations, they provided Dublin students the opportunity to understand the challenges of their fellow students that are diagnosed with autism or other disorders across the spectrum. Examples of these stations included: attempting to write one’s name while wearing a ski glove, trying to assemble a Mr. Potato Head toy while a strobe light was flashing in the vicinity or pulling a sock onto their arm that had a “prickly” feeling. Some of these sensations and many others are common to those with Asperger syndrome or pervasive development disorder. We thought that it was a fascinating and very powerful learning moment for all of the Kindergarten through 5th grade students at this site. However, this story did not end there. 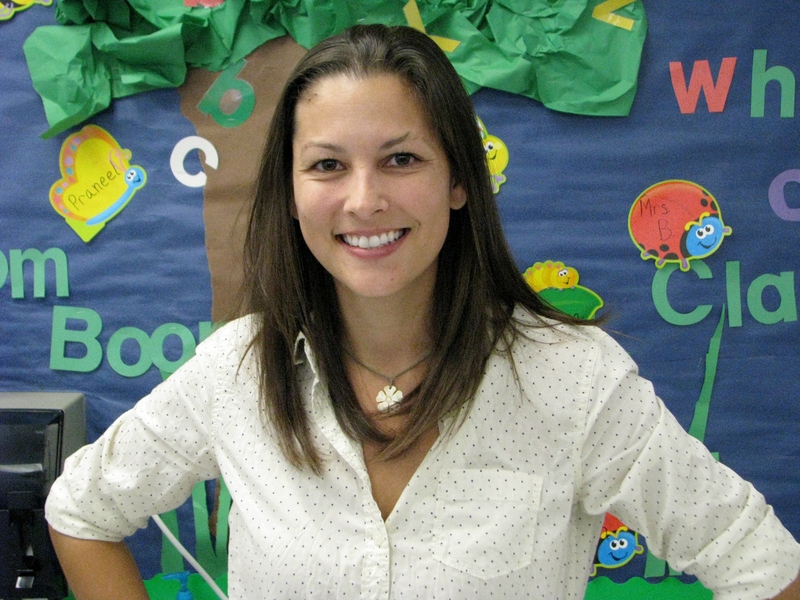 Less than 24 hours after publication of this article, the Alameda County Office of Education (ACOE) published their list of awardees for “Teacher of the Year” for each respective city. For Dublin, the honoree was Keira Andresen. A formal awards ceremony will occur on Thursday, October 3rd at the Castro Valley Center for the Arts. 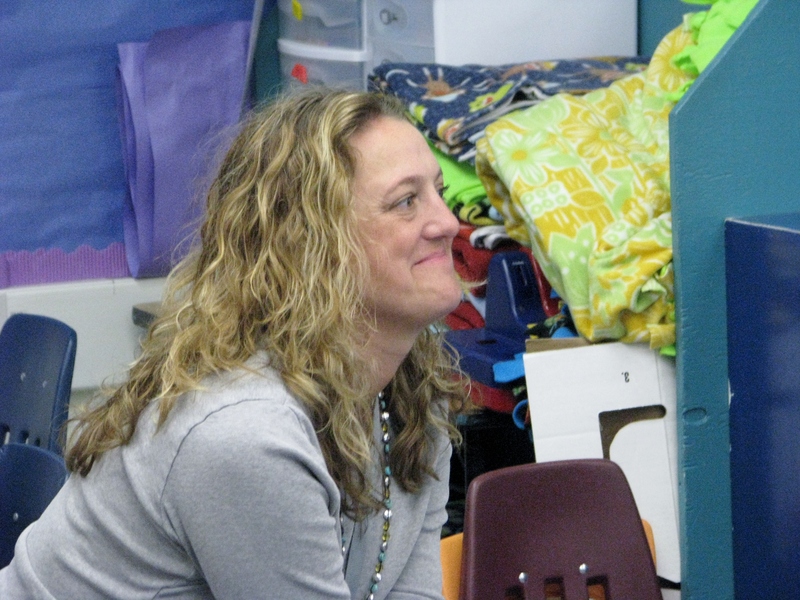 In order to cement this honor, the ACOE wanted to conduct a classroom visit at Dublin Elementary and to express personal congratulations to Ms. Andresen. This occurred on Monday and we were delighted to be present. As the classroom was active, this was not a formal presentation. Rather, it was a collection of interested people that included Superintendent Stephen Hanke, Board of Trustee members and various DUSD staff. A brief interruption in the class plan included the introduction of Karen Monroe and Yvonne Cerrato. Ms. Monroe is the Associate Superintendent, Educational Administration for the ACOE. Ms. Cerrato is an ACOE Trustee for Area 7 which represents the Tri-Valley region. Both offered a congratulatory statement and they also expressed gratitude to Ms. Andresen for all of the hard work invested by her and her colleagues to the success of the LASS program. It was a memorable in-class moment and one that could also be shared by the students. While a “Teacher of the Year” award carries a certain prestige, it also comes with an even higher level of responsibility. We reached out to Keira to receive her feedback on this award and the process. OneDublin.org: With the passage of some time since your initial notification, we are sure that you’ve had the opportunity to reflect upon what this recognition means to you. Please share some of your thoughts. OneDublin.org: We understand that many of your colleagues will be attending Thursday’s ceremony. How does this reflect on the quality of your fellow staff members/leadership and the relationships that you’ve developed? OneDublin.org: In some industries, a very significant award may be granted at the end of one’s career. However, you have the opportunity to serve for many more years in the classroom. What goals or pledges have you made to yourself in order to become the best educator that you can be? Before our departure, we extended an opportunity to Principal Lauren McGovern for her to express her thoughts on the significance of this honor. OneDublin.org: An individual award is oftentimes also a reflection of a team (LASS) or an entity, like Dublin Elementary School. What are your observations? OneDublin.org: Having the Dublin Teacher of the Year coming out of your school site is somewhat remarkable, particularly since there are over 400 certificated staff members in DUSD. Did this recognition represent anything visceral for your site? If yes, how? OneDublin.org congratulates Ms. Keira Andresen and all of her teaching colleagues that are being recognized for this honor. The event will occur on October, 3rd from 6:00 – 9:00 PM at the Castro Valley Center for the Arts at 19501 Redwood Road. Tickets are $20 for adults and $5 for children. An appetizer reception will occur from 6:00 – 7:00 PM.